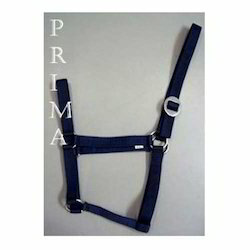 Ours is an illustrious organization, engaged in manufacturing and supplying a wide range of Horse Nylon Halter. 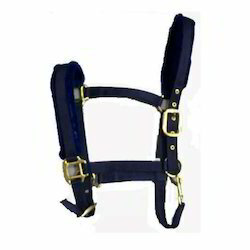 The offered halters are manufactured by our well trained professionals by utilizing best grade nylon material. These range is superior in quality and can be delivered to the clients in numerous designs and colours. Highly valued for its quality and durability, the entire range is available at market leading prices. Color: Black, Green, Maroon, Navy, Blue, Red, Brown. 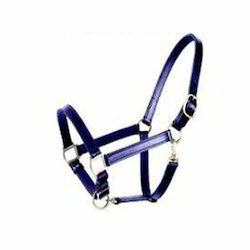 With our years of experience and knowledge, we are engaged in offering a wide range Leather Halter. 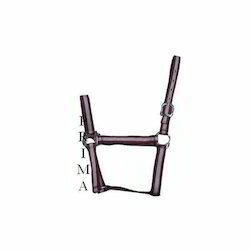 Designed by using quality assured leather, these girths ensure comfort to the horses & riders on a ride. Our offered range is in compliance with latest market fashion and is available in various unique designs, innovative patterns, colour combinations and fits to meet individual requirements of our prestigious clients. 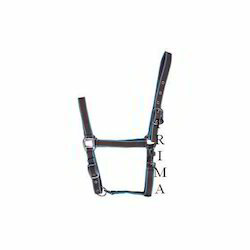 Our organization has gained recognition in offering an optimum quality Mink Padded Nylon Halter that is highly demanding in the market for its unmatched quality and cost effectiveness. This halter is demanded all over the world for its variety of colours, sizes and other such specifications. It is tested on well defined parameters in order to meet the specific requirements of our clients’ horse. Moreover, clients can avail this halter from us at rock bottom prices.